Reasonable Allowance for Use Under Virginia’s Lemon Law | The Consumer Law Group, P.C. What expenses are not recoverable under Virginia’s Lemon Law? The Virginia Warranty Enforcement Act, also known as the Lemon Law, protects consumers from purchasing new vehicles with significant mechanical problems. Any defect or condition that significantly impairs the use, market value or safety of a new car, truck, motorcycle, moped, or motorhome chassis is covered under the law. The defect must be discovered within 18 months of the date you took delivery of the new vehicle and must be reported to the manufacturer. If the manufacturer or its authorized agents cannot fix the defect in a reasonable number of attempts, it must replace the car or refund the cost, plus other expenses. Deducted from your refund will be a reasonable allowance for your use of the vehicle up to the date on which you first noticed the mechanical problem and advised the dealer. If for example, the car was in good working order for a year and then something went wrong that could not be repaired by the dealer, a usage fee for that year will be deducted from your refund. This amount is determined by the manufacturer, but by law cannot exceed half the amount allowed per mile by the Internal Revenue Service for use of a personal vehicle for business purposes. For 2016, the IRS mileage rate is 54 cents per mile, so you could not be charged more than 27 cents per mile up to the date of notice to the dealer. An additional amount may also be deducted to cover any loss of fair market value caused by damage beyond normal wear and tear not caused by the defect in question. In other words, if you bumped into a light pole and dented the bumper, that cost would be deducted from your refund. Since you have to prove the date of notice to the dealer, the repair order from the dealer is the best evidence, so always get a copy and save it. Check the information on it before you leave to confirm the mileage and days out of service and that all the complaints you made are accurately listed. Despite the usage deduction, a successful lemon law claim will get you a significant refund. Along with the purchase price of the car, you will also be reimbursed for license and registration fees, finance charges, dealer prep charges, cost of dealer add-ons, and more. 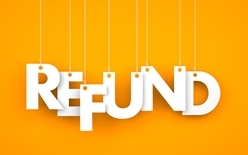 When you work with an experienced Lemon Law attorney, you will ensure that you get a complete refund of all expenses. In addition, the manufacturer will be required to pay your legal fees. If you are struggling to make a Lemon Law claim, call The Consumer Law Group today.